It’s been a while since our last Life as a Consultant interview. We’ve talked to consultants from McKinsey, Nortel Consulting, and Booz Allen amongst others. Today’s interview is with a former Bain consultant. His story is particularly interesting given his engineering background and current venture capital role. The views and opinions expressed are strictly those of the interviewee and do not reflect the views of the interviewee’s employers or affiliated entities. I graduated from a private university on the West Coast with a bachelor’s degree in Electrical Engineering. In between the summer of my sophomore and junior years, I did an internship at a semiconductor company in their product development department. While I knew that my passion was in technology, I wasn’t sure if I wanted to be an engineer after my summer internship. In my junior year, I was involved with a student-run consulting group, where I worked with Fortune 500 companies on strategic issues in a small student team. That’s where my interest in consulting really took off. The following summer after my junior year, I did an internship with Bain in their San Francisco office. I enjoyed my experience enough to return full-time in 2006. I worked at Bain for about 2 years, working on projects that spanned a variety of industries including semiconductors, private equity, media, consumer products and health care. I also had the privilege of working in multiple Bain offices including Hong Kong, Shanghai, San Francisco, Los Angeles, and Silicon Valley. I left Bain after 2 years to join a venture capital firm in Silicon Valley that focuses on tech and cleantech investments. 2. Many readers of MC have an engineering/technical background similar to yours. What advice can you give them about breaking into consulting? From my experience, engineers tend to do very well in consulting, particularly at a firm like Bain. Consulting is a very quantitative and analytical job, especially at the lower levels. Because a junior consultant does not have years of industry experience to draw upon, in order to stand out, he or she can add value by demonstrating a keen grasp of the numbers and by defending a recommendation with solid financial/data analysis and research. That said, engineers often fight an uphill battle when applying or interviewing for consulting jobs. Be sure to have a well thought out story about why you want to work in consulting given your engineering background. You will also need to demonstrate that you have done the appropriate preparation while in school to succeed in consulting from the start. This could include taking some business-related classes, such as Financial Accounting or Economics, or participating in a business group, such as a student consulting group. 3. Bain is one of the most desirable consulting firms to work for. Can you tell us what the recruiting process was like? Bain tends to focus on top-tier universities for recruiting, whether it is out of undergrad or business/graduate school. Bain works closely with my university’s established career services department every year for the recruiting process. 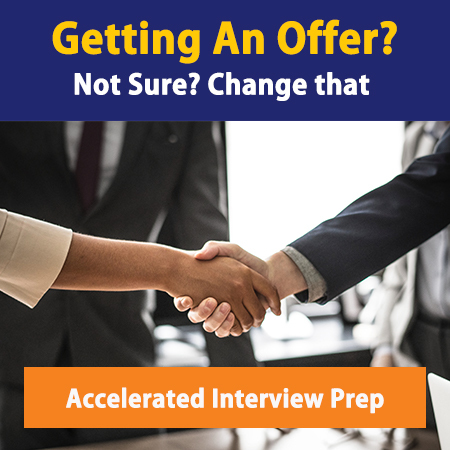 There are usually two cycles for recruiting: once in the Fall for full-time candidates (graduating seniors), and once in the Winter for summer internship candidates (juniors or seniors planning to complete a master’s degree). Bain follows strict deadlines for resume submissions and first/second round interviews. “Off-cycle” hiring is very rare and is usually reserved for people currently working in industry (i.e., not for students). After the resume submissions, those selected for interviews will go through 2 or more rounds, in which multiple consultants and managers will give case and fit questions. The entire process goes by very quickly; candidates usually find out whether they have made it to the next round in less than a week. 4. Based on your summer internship, what would you say are the most important differences between a summer and a fulltime job at Bain? One great aspect of the summer internship is the amount of exposure Bain gives interns to the projects and the work. Interns become integral members of their cases, and are involved in every team meeting and often in client meetings as well. This gives the interns a real feel for what the projects are like and what it would be like to work at Bain full-time. One major difference between the internship and the full-time job would be that during the internship, Bain still has the responsibility of “selling” the intern. Social events, fancy dinners, and fun trips are planned for the interns all summer long to make sure they have a great summer and want to come back to Bain after graduation. While the social events are still a part of the full-time job, they do not constitute as large a portion. Another major difference between the internship and full-time is the amount of responsibility one is given. Interns work on projects for about 8-10 weeks before heading back to school. It is very difficult to carve out a meaningful chunk of work for such a short period of time, although Bain does a decent job at it. With the full-time position, one can work on a project for 3-6 months or more, and can really dig into a piece of work in great depth. In this way, the full-time experience was much more fulfilling, as I felt like my work really made a difference for my clients. 5. Bain is also known as one of the most “fun” firms to work at. Do you think this reputation is justified, and if so, why? While I can’t compare the experience with working at other consulting firms, working at Bain was definitely a fun experience. One common analogy I hear is that working at Bain feels like being in college, and I would definitely agree with that. Because of the “bottom-heavy” structure of Bain, there are a lot of new college graduates in the office, making the workplace a very social environment. Bain also promotes a fun office culture through regular, sponsored social events ranging from simple things like happy hours to annual offsites, in which the entire office goes to locations such as Cabo San Lucas or Hawaii for a three-day long party (with a few business meetings here and there). 6. Many people enter consulting because they think it opens doors and provides many exit opportunities. Does this ring true from your personal experience and the experience of your colleagues? Yes and no. Often the sales pitch is that after 2-3 years of consulting experience, one can go into virtually any industry and choose their job function. This is a bit of an exaggeration and it’s important that readers get a realistic view. The consulting experience provides people with very rigorous, real-world business training and equips them with the ability to solve business problems with a structured and analytical approach. The experience is better suited toward certain industries/job functions than others. Natural exit opportunities include private equity, venture capital, or corporate strategy, which are not bad options at all. There are certain other job functions that consulting does not prepare as well for, such as starting your own business which may require some operational experience. That’s not to say that consultants haven’t succeeded in starting their own businesses, as I know plenty of former consultants that have. However, often there are other elements in a person’s career in addition to the consulting experience that have allowed him/her to succeed in such endeavors, such as years of operational experience before consulting or an MBA. Overall, most prospective employers find former consultants highly desirable because of the great training that consulting provides and the high quality talent that consulting firms demand. 7. Can you tell us what it’s like transitioning from Bain to Venture Capital and how the two jobs compare? In both consulting and VC, I have to be very agile when becoming knowledgeable about a particular company or industry. In consulting, a client who’s been at the company or working in the industry for many years is paying me a lot of money for my advice, so I had better not waste time in becoming an expert. In VC, I look at new investment opportunities across a variety of industries and have to become knowledgeable enough in a short amount of time to make a decision about whether or not to invest. There are a few major differences, however. The consulting world is a bit more defined. The client and the consulting team together come up with the questions to answer and the deliverables, and the workplan naturally follows. VC is much more vague. The only guidance is to bring in good investment opportunities and make good decisions about whether or not to invest. There are a million ways that I can spend my time and none of them is the best way. I have to be disciplined on my own and monitor how I spend my time. In terms of the lifestyle, I work fewer hours in VC than I did in consulting (when I was on an active project). VC is also a bit more flexible, as I can set my own hours and work locations to a certain extent. However, with consulting, I knew when I was done. There are specific deliverables and I often got time off in between projects where I didn’t have to think about work at all. In VC, I’m never done — there is always another startup to research and more to do, although there is usually no urgency on the VC side to get things done by a certain time/date. I plan to get an MBA after a few years in VC. After that, I would like to stay close to technology and entrepreneurship by staying in VC, joining a startup, or starting my own company. While I really enjoyed my years as a consultant and would recommend it to most people, I don’t think I will go back. I think my passion is in working with new technologies and entrepreneurial people. 9. Any last words of advice to prospective consultants? Just some food for thought: consulting is not for everyone. My experience was that it was the perfect first job out of college for me. I got great business training that I could use for the rest of my career. However, for me, staying longer than 2-3 years would put me on a path to become a career consultant (which is a great career choice, but not for me). The longer one does consulting, there are diminishing returns to the value the experience adds to future job opportunities in other areas. In other words, the longer you do consulting, the better you get at being a consultant. This is a realization that many come to after a few years in consulting, and it is often a difficult choice about whether to stay or move on, and when is the right time to leave. Looking for: Current consultant? Interested in sharing your story with readers? Get in touch to setup an interview or become a guest poster!